Editor's Note: There are 4 photos associated with this release. 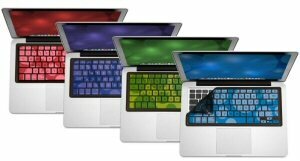 iSkin, the first company to create the silicone keyboard protector for Macintosh computer keyboards, today released the next generation of its ProTouch keyboard protectors. This launch continues the company's tradition of excellence in delivering products to Macintosh users who demand premium accessories with functional design and fashionable flare. The new line-up, which includes ProTouch Classic, FX and Vibes, provides enhanced typing comfort, protection against food spills, dust, key wear and more, while embedded Microban(R) antimicrobial product protection helps inhibit the growth of odor and stain causing bacteria on the product. Additionally, a newly re-engineered design optimizes the way each key is protected, allowing a comfortable, non-obtrusive typing experience that will appeal to slow and fast typists alike. ProTouch Classic retains the original version's simple, yet functional design, while adding enhanced refinements. 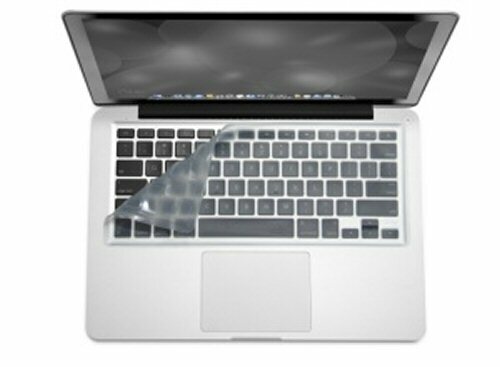 ProTouch Classic protectors are targeted towards home users and institutions alike who are seeking effective, yet simple keyboard protection to protect their investment. ProTouch Classic is available in one color (for MacBook keyboards) or three colors (for Apple Aluminum Wired/Wireless keyboards), and retails for a suggested $24.99 USD. Educational institutions are also eligible for volume discounts when purchasing directly from iSkin. 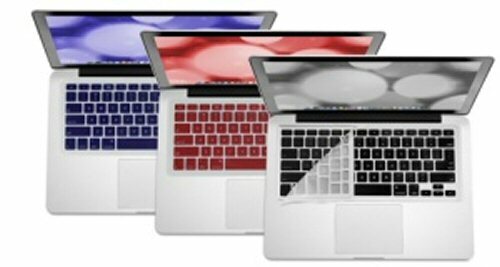 The new ProTouch FX, designed specifically for MacBook, MacBook Pro and MacBook Air users, features color-printed key caps against a glow-white background for enhanced contrast. It also allows owners of LED-backlit keyboards the continued benefit of illuminated keys in low light conditions. ProTouch FX protectors are available in three color printed combinations, and retails for a suggested $29.99 USD. The exciting new ProTouch Vibes brings colorful design and added convenience for new Apple iMac(R) keyboard and Apple MacBook customers. Geared primarily towards those seeking a stylish way to protect and enhance their keyboards, ProTouch Vibes features larger printed key characters, printed keyboard shortcut characters and a color-on-color designer pattern. ProTouch Vibes is available in four color combinations, and retails for a suggested $34.99 USD. For additional ProTouch Classic, ProTouch FX or ProTouch Vibes information, contact Kristian Ward, iSkin Marketing Manager at marketing@iSkin.com, or visit www.iSkin.com. (i) MICROBAN is a registered trademark of Microban Products Company. About this company iSkin Inc.